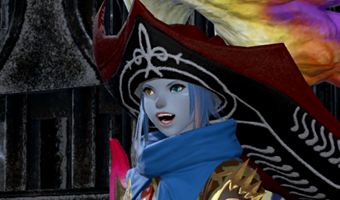 FFXIV: Final Steps of Faith Down! Last night, a group from my Free Company, KoM, downed the final boss of the Dragonsong War in the Final Steps of Faith. This was not an easy fight to do in Duty Finder, and one of the guys in our FC was on his 9th try. But seeing we made up most of the party and we were on voice chat, I think we had the edge over a normal PUG. The battle was quite mechanically intensive and really required a lot of coordination from all people in the party. The times we wiped, it was often because it wasn’t understood that “STACK NOW” meant “EVERYONE MUST STACK OR DIE!” Yes, that means you, too, random PUG member. Mechanics aren’t optional if you want to clear, folks. That is the message that S/E is speaking loud and clear with this fight and what I’ve seen in the Wiping City raid. 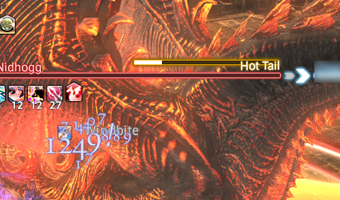 The final round, we got him down under 10% and I had to do my duty as the party’s dragoon: ie. sacrifice myself for the LB3. There just wasn’t a good time to be locked in … [Read more...] about FFXIV: Final Steps of Faith Down!